and design work as well. (He doesn\'t forget the "mutant supply chains" like Al-Qaeda that let the small act big in more destructive ways.) 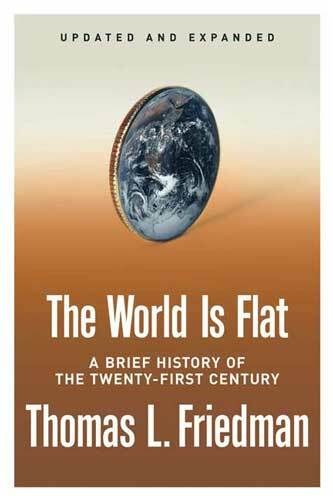 Friedman tells his eye-opening story with the catchy slogans and globe-hopping anecdotes that readers of his earlier books and his New York Times columns will know well, and also with a stern sort of optimism. He wants to tell you how exciting this new world is, but he also wants you to know you\'re going to be trampled if you don\'t keep up with it. His book is an excellent place to begin.